Most rental properties don’t allow pets but change could be in the air following government confirmation of a new, more lenient pet policy for Housing NZ tenants. Recent Barfoot & Thompson data shows that, in the year ending August 2017, just 11% of their new Auckland rentals allowed tenants to have pets. Nationally, estimated figures for pet-friendly rentals tend to be slightly higher, ranging from around 14% to 17%. But Housing and Urban Development Minister Phil Twyford has now announced that Housing NZ’s pet policy will become more accommodating. This means Housing NZ is preparing to allow tenants to own pets for reasons beyond special needs on a case-by-case basis and on application. 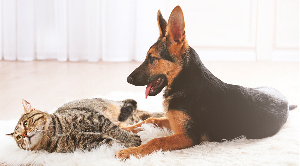 Twyford believes that for many tenants pets are important to their quality of life and provide companionship and a sense of security. However, he acknowledges there needs to be balance and limits in place. Twyford says Housing NZ is still working on the logistics of the policy, like how it will be policed, but it is set to be released this year. For private landlords, the government’s new policy raises the question of whether more tenants will now have increased expectations when it comes to pets. Auckland Property Investors Association president Andrew Bruce says that, as a landlord, he has been burnt badly on several occasions by tenants with pets. He says he likes pets himself and has been a regular pet sitter for one of his previous tenants’ dogs, but the risks of pets for landlords can be high. This is particularly the case in the wake of the Holler & Rouse v Osaki decision and subsequent Tenancy Tribunal rulings on accidental damage to rental properties by tenants. “If you have allowed pets as part of the rental agreement and the pets have contributed to damage to your property it would be very hard to establish any damage was intentional – as opposed to accidental - and that could lead to cost problems. Despite this, Bruce suggests that the times are changing. He says there are growing numbers of renters, something which is unlikely to change, and many of them want to make their rental property their home. That, in turn, means many more private tenants are likely to have, or to want, pets. “In light of this trend, I wonder if there is more room for negotiation and for dialogue on the issue. “It may be that landlords could look at some sort of pet bond on top of the normal bond, to cover potential damage costs. Both in New Zealand and overseas, there is a growing movement in support of pet-friendly rentals. In Australia, the state of Victoria recently amended its tenancy laws to respect a tenant’s right to own a pet unless there are overriding regulations, like a pet ban by a body corporate, preventing it. Tenant advocacy groups in New Zealand have called for the government to take a similar approach to that of Victoria, while a number of local investors have gone public with the success they have had with pet-friendly rentals. Adopting a pet-friendly policy can pay off for landlords as many tenants are willing to pay more and stay longer in order to keep their pet. An example of this can be found in the Barfoot & Thompson data which shows that, in the year ending August 2017, new rentals which allowed pets received an additional $54.46 per week on average.